Today local residents, military officials and a Reuters journalist observed planes dropping bombs in South Sudan. "I can see market stalls burning in Rubkona in the background and the body of a small child burning," he said. 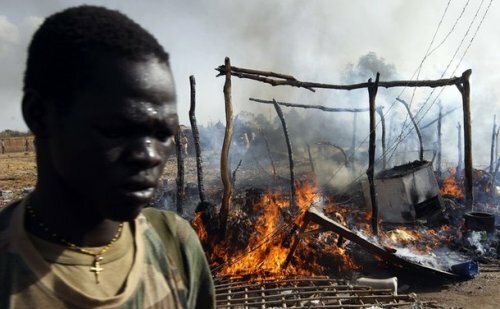 "we absolutely did not bomb anywhere in South Sudan," said Sudan's military spokesman, Al-Sawarmi Khalid. and it wasn't Juba, who don't have any planes. It must be aliens invading. Someone call NASA.